Tim Hortons is betting that the iconic Canadian brand will resonate in China, as the coffee chain plans its biggest move yet in a two-year-old international expansion strategy that has seen it go to the Philippines, Britain, Mexico and Spain. 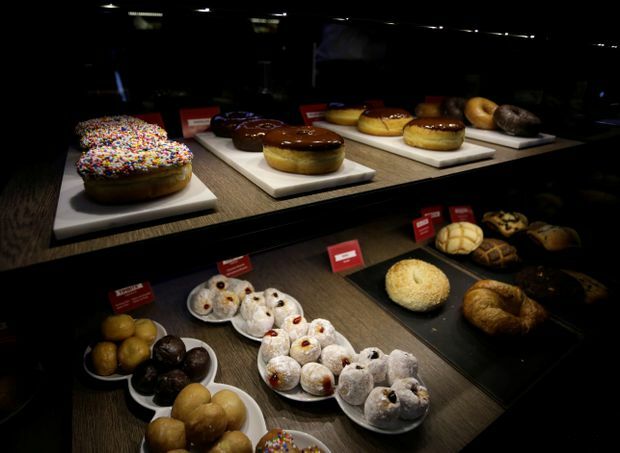 Restaurant Brands International Inc., the firm that owns Tim Hortons and is controlled by 3G Capital, a Brazilian private equity investor, said Wednesday it aims to open at least 1,500 Tim Hortons in China in the next decade – about three coffee shops a week. Tim Hortons president Alex Macedo said the firm will entwine Canada and the flag in the international brand, billing its offering as “Canada’s favourite coffee.” It is a template that the company plans to use in its new overseas markets and Mr. Macedo said that Tim Hortons is preparing to announce more countries by the end of the year. The move to China comes as Tim Hortons struggles in Canada, where its brand has taken a hit amid a continuing feud with franchisees and some outlets’ response to Ontario’s minimum-wage hike. Sales at its 3,900 or so locations across Canada have been stagnant, while expansion in the United States is slow. In China, coffee-drinking culture is on the rise, but Tim Hortons faces stiff competition from domestic upstarts to Starbucks, which has operated there for two decades and has 3,300 locations in 141 cities. Starbucks in May said it plans to open almost two new stores a day in the next four years to top 6,000. The Seattle coffee chain sees China eventually becoming its No. 1 market with 10,000 stores. Analyst Peter Sklar of BMO Capital Markets said there is uncertainty over whether Tim Hortons’ international forays will succeed. He said the Tim Hortons brand has “limited identity” outside of Canada, unlike Burger King, the other main arm of Restaurant Brands International. Burger King has expanded internationally, including in China, in recent years. “We believe that the China expansion presents a significant growth opportunity for the company but we remain concerned about its potential for success given [Restaurant Brands’] challenged expansion into the U.S. in the past,” Mr. Sklar said in a report on Wednesday. Pastries are displayed at a Tim Hortons coffee shop in San Pedro Garza Garcia, Mexico, on Oct. 26, 2017. Restaurant Brands will lean on joint-venture partner Cartesian Capital Group LLC, a New York private equity firm with a range of investments and experience in China. They partnered in 2012 to expand Burger King’s presence from 63 locations to more than 900 today. The goal in 2012 had been to open 1,000 new Burger Kings by 2019 and the partners feel they are on track, with room for additional growth. Restaurant Brands will have a minority stake in the Tim Hortons joint venture in China and serve as the franchisor. Peter Yu, managing partner of Cartesian Capital, said he feels Canadian values of openness and quality will appeal in China. But he suggested a new kind of retail model will be essential, after the experience with Burger King. An example of change is Luckin Coffee, a Beijing upstart that has opened more than 500 locations in less than a year and is valued at US$1-billion after it raised US$200-million in a deal announced this week. Luckin Coffee revolves around the smartphone, which a person uses to order and pay. There is no cash. At Starbucks, only a fifth of transactions are done in cash. The China market has long lured fast-food operators. Kentucky Fried Chicken is the oldest, opening in 1987 in Beijing. KFC has the most success, with more than 5,000 locations in more than 1,000 cities. McDonald’s followed in 1990 but has only 2,500 locations. Last year, it said wants to add 2,000 more in the next five years but also sold majority control of its China business to Citic, the Chinese conglomerate. Tim Hortons will first focus on Shanghai and Beijing and is developing a local menu, like other foreign fast-food players. Congee, a rice porridge, is sold by the likes of KFC and McDonald’s. Tim Hortons, meanwhile, plans matcha tea products in China. The company has moved slowly in its new international markets. It has no more than 20 in any of its recent countries. It does not have a planned opening in China yet. One brand challenge will be to translate Tim Hortons in China, said Hua Yu, a brand expert at Level5 Strategy Group in Toronto. For one, it can’t use hockey to sell coffee, she said. Ms. Yu noted Tim Hortons will have one advantage, as Canadians of Chinese heritage will have already spoken about the coffee to relatives in China. “There’s a certain level of awareness of the brand in China already, especially in cities like Shanghai and Beijing,” Ms. Yu said.